This section highlights a variety of studies, publications and multimedia—listed by discipline within veterinary medicine—which pertain to humane teaching methods. Animal Use in Biomedical Education. www.AnimalExperiments.info. Usher RD. UGA Veterinary Students and Faculty Join Forces to Promote Humane Veterinary Training. 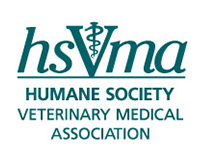 Humane Society Veterinary Medical Association E-Newsletter June 2009. Advocating for Humane Veterinary Training. Humane Society Veterinary Medical Association E-Newsletter December 2008. Helping Students Push for Ethical Sources. Humane Society Veterinary Medical Association E-Newsletter July 2008. Rauch A, Patronek GJ. The Impetus Behind the Development of Alternatives. Alternatives in Veterinary Medical Education 2008;37:2,3. Knight A. The effectiveness of humane teaching methods in veterinary education. ALTEX 2007; 24(2): 91-109. Rasmussen LM. Veterinary Students Making a Difference: "Summer Learning, Had Me a Blast"—Universal Skills-Based Learning. Alternatives in Veterinary Medical Education 2007;34:4,5. Krebsbach SB. Everyday Heroes―Veterinary Students Advocating the Use of Humane Teaching Methods (DVD). Association of Veterinarians for Animal Rights (AVAR), Davis, 2006. Patronek GJ, Rauch A. Systematic review of comparative studies examining alternatives to the harmful use of animals in biomedical education. Journal of the American Veterinary Medical Association 2007;230:37-43. Jukes N, Chiuia M. From Guinea Pig to Computer Mouse: Alternative methods for a progressive, humane education. 2nd ed., International Network for Humane Education (InterNICHE), Leicester, England, 2003. Rasmussen LM. Accent on an Alternative: An Innovative Approach to Veterinary Training and How It Applies to Large Animals. Alternatives in Veterinary Medical Education 2002;20:3,5. Knight A. The InterNICHE Alternative. Alternatives in Veterinary Medical Education 2001;18:1,3. Buyukmihci NC. The Concept of Alternatives. Alternatives in Veterinary Medical Education 1996;1:1. Virtual Animal Anatomy. Veterinary Educational Tools (VET), College of Veterinary Medicine and Biomedical Sciences, Colorado State University, Fort Collins, Colorado. Linton A, Schoenfeld-Tacher R, and Whalen LR. Developing and Implementing an Assessment Method to Evaluate a Virtual Canine Anatomy Program. Journal of Veterinary Medical Education 2005;32:2,249. Summer Project Focuses on Potential of Educational Memorial Program to Supply Ethically-Sourced Cadavers for Training. Alternatives in Veterinary Medical Education 2007;36:4. Reyes-Illg G. Spotlight on a School: Willed Body Program for Large Animals at the University of Florida College of Veterinary Medicine. Alternatives in Veterinary Medical Education 2006;32:1,2. Shearburn L. Accent on an Alternative: Willed Body Donation Program organized at the University of Wisconsin. Alternatives in Veterinary Medical Education 2003;24:3,5. Donley L., Stull L. Veterinary Students Making a Difference: Educational Memorial Programs providing a client-donated source of cadavers for veterinary medical training. Alternatives in Veterinary Medical Education 2002;19:1,3. Kumar AM, Murtaugh R, Brown D, Ballas T, Clancy E, Patronek GJ. Client donation program for acquiring dogs and cats to teach veterinary gross anatomy. Journal of Veterinary Medical Education 2001;28:73-77. Accent on an Alternative: Students Take Extra Steps to Develop Alternatives in Large Animal Tracks. Alternatives in Veterinary Medical Education 2005;28:1,4. Fingland R. Comparison of skills oriented and procedure oriented junior surgery laboratory curriculum. Alternatives in Veterinary Medical Education 1999;10:1,6. Dunayer E. Learning Surgery without Harming Healthy Animals. Alternatives in Veterinary Medical Education 1996;1:3. White KK, Wheaton LG, Greene SA. Curriculum change related to live animal use: A four-year surgical curriculum. Journal of the American Veterinary Medical Association 1992;191:6-10.